Solimar Systems has developed a series of focused informational videos, SolimarShorts, that cover many of the hot topics that our industry faces. In topical segments, each SolimarShorts gives a quick glimpse into the power of Solimar’s suite of solutions and how organizations can realize operational and mailing efficiencies, added value to existing applications, TransPromotional implementation, and other workflow optimization opportunities. For additional information, please contact the Solimar Sales Team at +1.619.849.2800. SOLitrack has had a number of feature and function upgrades in the 2.0 release. These enhancements are driven directly from feedback from our users in an effort to make our print and digital communications workflow tracking solution easier to use and more functional. 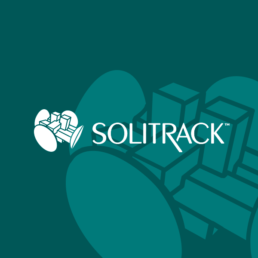 SOLitrack 2.0 introduces several significant enhancements including a new web interface targeted for mobile devices, JDF/JMF support for expanded communication with JDF enabled devices, an offline station to record the start and completion of manual, offline tasks, and a new Job Batching Module. SOLitrack introduces a new web interface optimized for monitoring production activity from mobile devices. Internal and external users can monitor a job’s production status as it moves through a workflow in a convenient, configurable and customizable web interface. SOLitrack’s intuitive interface provides print operators and administrators with a powerful tool to manage and monitor printer activity and processing status of print files. This information can be delivered to your mobile device through SOLitrack Mobile – a customizable web interface. 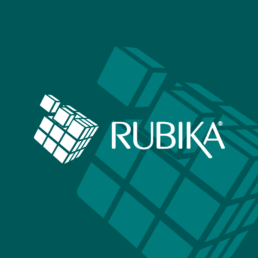 Using Solimar's Rubika document re-engineering solution, and BLUairspace from RealityBLU, transactional documents can now have variable customer experiences added right to the document electronically. Overview of how ADF solutions can compliment production print environments in many ways to increase efficiencies and profitability. This session continues the discussion of ADF components with a focus on reprints. This session continues the discussion of ADF components with a focus on the ability to support multiple data formats on various output and presentation devices. This session provides an overview and demonstration of automated reprints as part of an ADF workflow. Introduction to electronic presentation including overview of benefits and what to look for in a solution. Overview of how electronic workflows can compliment production print environments for increased efficiencies and profitability by improving user productivity. See how electronic workflows can compliment production print environments to reduce print related costs, improve proofing efficiencies and support "green" and compliance initiatives. Learn how electronic workflows can increase efficiencies and profitability by unlocking the data contained in printed output and enhancing output with online presentment. profitability in production print environments. Overview of some of the benefits and variations of transpromo along with how Solimar's workflow solutions fit into the transpromo market space. Add and update content to existing print output by using underlays, overlays, onserts, and dynamic content without the need to make changes at the composition or host level. Add and control inserts with composed print data related to transpromo workflows without the need to make changes to your applications at the composition or host level. This session overviews how content can be gathered from composed print data streams so that it can be used to support various transpromo workflows. Overviews how TransPromo concepts can be extended beyond the printed mailpiece with electronic presentment. Overview of strategies our customers commonly implement to reduce mail related delivery costs while gaining efficiencies with postal processing techniques. Overview of a production print workflow, common challenges, and what to do to address them. This session covers how you can reduce expenses and improve workflow efficiencies. Q: What video player are you using? A: Please download the latest version Adobe Flash. Q: Are you on a Wireless VPN network? A: Check your security settings. They may be preventing you from streaming the video.